"Empire" actor Jussie Smollett has been officially classified as a suspect, police said Wednesday. Chicago Police spokesman Anthony Guglielmi said Smollett is considered a "suspect in a criminal investigation" for "filing a false police report," a class four felony. He was later charged. "Detectives are currently presenting evidence before a Cook County Grand Jury," he tweeted. Smollett's attorneys spoke with prosecutors Wednesday morning as the saga surrounding the actor's alleged attack in Chicago continues to shift, police said earlier. Chicago police confirmed that attorneys for Smollett had discussions with prosecutors, but details surrounding the dialogue were not released. Police spokesman Anthony Guglielmi declined to confirm reports that subpoenas had been issued for Smollett's phone and bank records. "As of this morning, Smollett is not a suspect. He is not a victim either," Guglielmi said in a statement. "He is a person who reported a crime. This is still an aggravated battery and hate crime investigation. Investigators continue to explore other avenues as they wait to interview Smollett." Police said earlier this week they want to re-interview Smollett for a follow-up interview. Authorities had said new information "shifted" their investigation of the reported attack. Less than a day earlier, Cook County State's Attorney Kim Foxx recused herself, without explanation, from the investigation into the alleged attack. "Out of an abundance of caution, the decision to recuse herself was made to address potential questions of impartiality based upon familiarity with potential witnesses in the case," a spokesperson said in an emailed statement Tuesday. A new statement from 20th Century Fox Television and Fox Entertainment Wednesday said, despite the case, Smollett's character "is not being written out of the show." 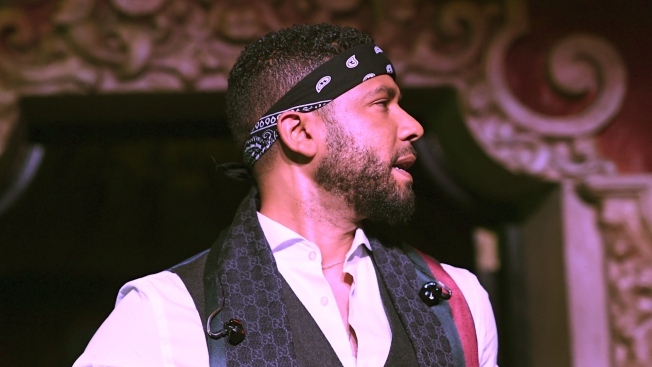 "Jussie Smollett continues to be a consummate professional on set and as we have previously stated, he is not being written out of the show," Fox said of Smollett's "Empire" character, Jamal Lyon. Detectives were questioning two brothers about the attack but released them late Friday without charges, Guglielmi said Saturday. Police said they had gleaned new information from their interrogation of the two men and they were no longer suspects. Surveillance video taken at 10 a.m. Jan. 28 appears to shows brothers Abel and Ola Osundai shopping at Beauty House at 1041 W. Wilson Ave. in the Uptown neighborhood. The brothers make their way to the check out counter and purchase several items: including two ski masks, gloves and baseball caps. Then they walk to their vehicle. The items are of interest because police say Smollett told them the attackers were wearing masks. The security guard working that day—told NBC 5 he realized the brothers had been in the store last week and he had helped them find the items they were looking for. He says he feels bad that he sold the items that could have been been used in a hoax. The brothers were interviewed, arrested and later released without charges in connection to the alleged attack on the actor. Chicago police say the bothers are now considered cooperating witnesses against Smollett. Smollett's lawyers said late Saturday that the actor felt "victimized" by reports that he played a role in the assault, adding that, "nothing is further from the truth and anyone claiming otherwise is lying." The statement from attorneys Todd Pugh and Victor P. Henderson also said Smollett would continue cooperating with police. Police said they combed surveillance video in the heavily monitored area where Smollett said the attack occurred but were unable to find any footage of the incident. They did obtain images of two people they said they wanted to question. Last week, Chicago police picked up two brothers at O'Hare International Airport as they returned from Nigeria. One of the men is Smollett's personal trainer, whom the actor hired to help get him physically ready for a music video, Smollett's attorneys said in their statement. "It is impossible to believe that this person could have played a role in the crime against Jussie or would falsely claim Jussie's complicity," the attorneys said.